Notably, the “Tet for the poor and Agent Orange victims” movement, launched in 1999, has so far raised nearly VND6.7 trillion ($287.5 million) to support over 22 million impoverished and welfare beneficial households and Agent Orange victims. On this occasion, the VRC Central Committee launched a text message campaign to mobilise support for less privileged people. Donors can text TET to 1407 from now to February 12 to contribute VND20,000 per message to the fund. 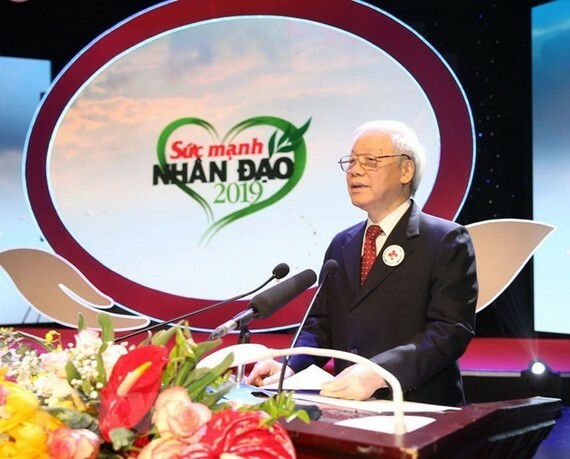 At the programme on January VND13, 51.2 billion and over 2 million gift packs were donated while more than 2,100 text messages sent to help poor people and Agent Orange victims.